Reporting the presence of sacred Native American sites on, near, or possibly influenced by U.S. military lands is circumscribed by several important considerations. These considerations will be discussed as they relate to the identification of sacred sites. Sites will then be identified and the appropriate cultural and historical background and tribal affiliation with the site will be provided. In order to avoid the specter of appearing to be the definitive authority on these locations, the phrase “appears to be” will be used in identifying and discussing the locations. In that way, should conflict arise in the future over the nature of the location, its importance, or the ceremonies which might need to be conducted there, sufficient flexibility is provided for the introduction of clarifying information. To avoid any suggestion or inference that locations or background materials regarding any particular sacred site is being revealed without authorization from the proper traditional Native American spiritual authorities, citations and bibliographic entries are limited to secular sources which could be located by any scholar or interested person from published materials available in a major library or archives. Specific information on the nature of the ritual activity, or importance to the tribe, must be obtained from traditional spiritual leaders of the tribe or tribes concerned. The following is a discussion of sacred sites that are well known for various Native American groups. Well known sites have been chosen so that the goal of illustrating the geographic range and variety of sacred site types can be met without further revealing information about sacred sites. The following sacred sites are discussed by state and by generic tribal affiliation, Sioux, Paiute, Apache, Pueblo instead of the specific band or community where applicable. For those sites specific to a particular currently recognized Indian tribe, reservation or community which involve continuing ceremonial activity, the identification is site-specific if the information is part of the larger historical/religious heritage of the group and the data is already public information. Maps of states are in Appendix R; they are cited as figures in this chapter (example: Figure 4.5 is located in Appendix R, page 342). These maps indicate major features of each state, Tribal lands, approximate location of sacred sites mentioned in the text, and location of military installations as of 1995. The information on Native American sacred sites in Arizona (Figure 4.1) are listed alphabetically by tribe. Good general references on native peoples of Arizona include Weaver (1974), Ortiz (1983), and Sheridan and Parezo (1996). The Apaches are a loosely confederated people who lived in small hunting bands, practicing some agriculture. Their territory, however, covered an extensive area, including most of eastern Arizona and southern New Mexico (Basso 1970; Goodwin 1969). The White Mountain Apaches are generally located on a reservation of the same name and have extensive traditional practices today. They appear to have concentrated their ceremonial life at locations on the reservation but many ceremonies will have as geographical reference points sites, primarily mountains, off the reservation to the south and east. Apache groups along the Gila River and its tributaries shared a common language and the same economic activities but were primarily mountain people. The San Carlos Apache reservation was a location where remnants of various Apache bands were located during the wars against these people in the 1870s and 1880s. An estimated 20 or more separately identifiable bands of Apaches, primarily consisting of groups formerly designated as “Gilas,” live on this reservation. Religious traditions are not frequently shared among these groups. Consequently when the Mount Graham telescope controversy arose two entirely valid descriptions of the mountain emerged from different groups of Apaches. The controversy involved the building of telescopes on the mountain and was essentially a conflict between Indians and environmentalists and the University of Arizona. The mountain was not known to be sacred by some Apache groups and it was a central sacred site for another group. This example illustrates that a site sacred to one group of Apaches may not necessarily be known to its neighboring group even though intermarriage and other forms of band alliance were practiced. A site may be sacred to several groups of Apaches but for entirely different reasons depending on the historical experiences of a given group. Closely related to these two major groups in culture and loose political alliances are the groups known as Tonto Apaches, Yavapai (Apaches), and Mohave (Apaches). All of these groups have smaller reservations. Their sacred sites are generally locations adjacent to their present lands, including mountains and springs some distance from their present reservations. These sites were once used and are a part of their creation and migration traditions. Finally, not presently living in Arizona to any great extent, are the Chiricahua Apaches who controlled much of southern Arizona from very early times until they were forced from the state during the wars of the 1880’s. Cochise’s Stronghold and the lands near Fort Huachuca are representative areas of sacredness for this group which is now scattered in family groups at Fort Sill, Oklahoma and on the Mescalero Apache reservation in New Mexico. Mountains forming a rough circle determine the heartland of some of these Apache groups and involve traditional creation and migration accounts. Additionally some mountains have a band of colored rock distinctive in itself as lighter than the strata above and below it which these people say gives evidence of the massive flood which once ravaged the earth. Ceremonial traditions about the flood and the continuing presence of spirits from that time are held quite secretly by traditional people. There is some sharing of locations by Apache peoples and Navajos, Tohono O’odham and the Pima-Maricopa peoples. The central part of Arizona, where the mountains and desert join, was a multiple use area, desert peoples using the region for hunting to supplement farming production and mountain peoples, the Navajos and Apaches, using the canyons and flood plains for small agricultural areas. Specific religious sites were probably used by different groups without conflict because of the difference in ceremonial calendars. But sites specific to family-sized groups exist. Probable religious use and identification of these sites would be extremely rare considering the passage of time since the reservations were established. In Maricopa County are the Painted Rock Mountains which consist of an acre of rocks, forty to fifty feet high, which are covered with both painted and carved pictures of men, insects, snakes, birds, and various other figures. Interpretations of this location are highly speculative and may involve simply graffiti from ancient times or sacred tales which give directions of other locations some distance away that are used for ceremonies. Because these rocks could be the key to Apache practices at locations within the Air Force bases in Arizona, to which people might want access, this location is discussed. Being in the territory of the archaeological Hohokam culture, the site might also have connections to the Akimel O’odham (Pima). Apache religious practices are held in utmost secrecy and few outsiders have been able to penetrate the religious practices to any significant degree. Extreme sensitivity in protocol is suggested when dealing with traditional Apache people. Military commanders should contact the various tribal chairmen when faced with a request for access to particular locations. The tribal council should be asked for an introduction to the proper religious authorities and outsiders should not automatically assume that religious knowledge of these people is commonly held by members of the respective reservations. The Havasupai people (Spier 1928) live in the bottom of the Grand Canyon with some recently restored acreage on the rim of the canyon. They are a small tribe whose major religious sites are all located in the canyon. The Grand Canyon itself is the “mother” or “Emergence Point” for the Havasupai and many other tribes of Arizona, and even has a relationship to the Zuni and other Pueblo peoples in New Mexico. Consequently it is extremely difficult to separate sites which would be strictly Havasupai with locations that may have many tribal interests. The major problem in this location would be the Air Force fly-overs which would probably be restricted by the National Park Service and other agencies responsible for maintaining the area. The Walapai Tribe (Kroeber 1935) is closely related linguistically and culturally to the Havasupais. Occupying a reservation adjacent to the Havasupai Reservation, they would be subject to the same flyovers, and probably share sacred sites with the Havasupais on the South Rim of the Grand Canyon. Three major sacred site locations exist near or in the Grand Canyon: Hue-Ga-Woo-La, or Bear Mountain (known today as Bill Williams Peak), Huethawali mountain, an almost isolated mountain in the Grand Canyon which has irregular cross-bedded layers of white sandstone, and Red Butte, south of the Grand Canyon, which is a prominent location in the people’s creation story. None of these sites is directly related to military bases but the nature of creation and migration stories among the peoples of this area is the linkage, in roughly described larger areas, of mountains which form the boundaries of the lands which the people were instructed to settle. Consequently these locations can be the focal point of larger geographical networks which could reach into the desert areas to the south and involve Air Force lands. While Hopi people live on the Colorado plateau (the classic ethnography is Titiev 1944) far away from Arizona military lands, their traditions speak of many land forms in North America and include, at a very ancient time, references to areas which have been occupied by other tribes for thousands of years. They have recently informed museums and other institutions of their claims to affiliation with practically every ancient location in the southwest. A wide range of writings (Waters 1963; James 1974; Whiteley 1988) claim that the Hopi migrated around the continent several times, leaving identifiable markers of their passage, including the Great Serpent Mound in Ohio. In the emerging field of Pre-Columbian expeditions, the Hopis are identified by several writers as peoples living in the middle part of Arizona as early as 2400 B.C., when alleged Chinese efforts to map the world took place. The Hopis consequently present a most formidable tradition which has impressive credentials as to accuracy, and is highly respected by other tribes and many scholars. Hopi ceremonials, according to my present knowledge, are generally restricted to the heart of present Hopi land holdings and conducted in accordance with a ceremonial calendar. The extent of their real ceremonial life is not known by outsiders. There is a consistent overlap between the Hopi traditions and the traditions of almost every other people in the Southwest area. It is prudent, therefore, to make contact with Hopi traditional people as well as tribes who have a story concerning mountain and springs locations. The Mohave (Stewart 1983) and Chemehuevi (Laird 1976) have traditionally lived along the Colorado River and in the western desert areas of Arizona and eastern California. The Mohaves share a general area of land with the other Yuman language speakers like the Yumas, Yavapais, Cocopahs as well as the Numic language speaking Chemehuevis (same language as Southern Paiute). Because of generally flat desert landscape, notable geological features have attracted many different people as places where ceremonies should be conducted. Consequently the tribes along the Colorado River must share a number of locations although quite possibly for entirely different religious reasons. In La Paz County a distance above Parker Dam is Ahvakouotut which is the ancient home of the Mohaves. North of that location are three sharp peaks south of Topock at the eastern end of the Mohave mountains called Huquempavi which liberally translated means “where the battle took place” and refers to an event in Mohave prehistory where a powerful spirit, Mastamho, killed a sea serpent of enormous proportions. These two locations, describing an aboriginal sacred area which has great length and comparatively narrow width tell us that Mohave sacred sites run up and down the river and do not describe a circular occupancy/ceremonial area. Because the river area was home to so many different Indian groups and because it is such a narrowly defined location, sacred sites are shared by several different Indian groups. The White Tanks location within the Yuma Proving Grounds are already the subject of expressed interest by the Quechan, Yavapai, Tohono O’odham as well as the Mohave. These sites can probably be located by a traditional elder who knows the creation story and the geographical area. The Navajo (Kluckhohn and Leighton 1946) present a difficult problem. The reservation extends into three states: Arizona, New Mexico, and Utah. Several groups in New Mexico have tracts of land distinct from the larger reservation in Arizona. Many of the major sacred mountains are in New Mexico and Utah, indicating a much larger occupancy area in pre-contact times (Kelly and Francis 1994:185; McPherson 1992). Within Arizona itself the majority of locations, including springs used in a variety of ceremonial ways by families and small communities, are on the reservation itself. The military installations which might be affected by Navajo claims of sacred sites are minimal to non-existent. The basic problem that might occur with the Navajo people would be flyovers from various Air Force and Air National Guard bases. In these cases disruptions would involve a significant land area and many sacred locations and formal negotiations would have to be held between the Navajo Nation and the concerned military branch. Because of the size of the Navajo Nation it does not make sense to attempt to describe sacred places on the reservation nor to try to describe the many variants of the traditional Navajo religion that might be practiced within the reservation. This task has already been done, including some team work involving Navajos (McPherson 1992; Kelly and Francis 1994). More germane to the question of Navajo sacred sites are those sites which may involve the Navajo and other tribes. The adjacent tribes in Arizona are the Hopi and Ute Mountain Ute Tribe on the Colorado border. Conflicts between these Indian nations would best be settled between and among themselves prior to discussions with any branch of the Defense Department. State agencies concerned with cultural and historic sites work with all of these Indian nations and will also be parties of interest in any serious controversy. Since there are no present controversies regarding the DoD and the Navajo regarding sacred sites, and since none is anticipated, this study will deal primarily with locations in Utah and New Mexico which have the potential for future conflicts. These sites will be discussed in conjunction with the presentation for the respective states. Much of original area of occupancy of the closely related Pima and Maricopa peoples is now overlaid by the urban sprawl of Phoenix and satellite cities. Some of the canal systems can be traced and a few village sites can be located. It is difficult to determine the scope and location of many of the original villages. However the South mountains in Maricopa County are the location for the traditions involving the Elder Brother and his subordinate Coyote. The stories involving the Elder Brother begin after the Great Flood and demarcate the various notable geological formations of the immediate area. While the majority of the Pimas (Russell 1908) and Maricopas (Spier 1933) living in the region are today Presbyterians, the existence of some form of the traditional religious practices cannot be discounted, particularly since they would have been conducted in great secrecy during the intervening century since white settlement. Consequently if the Flood aftermath involved the establishment of shrines to the west of the present reservation location, there could be some conflict with the Luke Air Force base land holdings (i.e., the Atlas-Tinaja Mountains). The Pima-Maricopa peoples today represent Indian communities in which the young are much more interested in the religious traditions than their elders. As revivalistic religious practices increase and some traditional elders feel free to share information, clarification of these peoples’ need for ceremonial locations will occur. The Tohono O’odham people (Underhill 1939, 1946; Fontana 1981) constitute a large group of desert-dwelling villages extending into northern Mexico. They are related to the Pimas and Maricopas and much more is known about their religious practices. The present reservation contains most of the desert locations that are used for ceremonial activities. However the practice of the Tohono O’odham people was to move to cooler mountain locations during the summer when the desert was very hot and return during the winter months. Intervention by the United States and restriction to one desert location made it impossible for the Tohono O’odham to maintain religious ceremonies in the adjacent mountains. Some locations near Fort Huachuca may still be used sporadically by the Tohono O’odham but most probably not since the focus of cultural and religious activity has been toward the west. Baboquivari Peak is one of the central locations for Tohono O’odham religious activity and has many different religious traditions attached to it. Practice of traditional religion, including extensive ceremonies involving the creation story continues with the Tohono O’odham. The major problem for this people is the Air Force fly overs and sporadic controversies still break out over this question. Legacy Project #21 at Fort Huachuca involves the inventory of rock art sites on DoD property. Several locations exist within the military lands and are rapidly deteriorating. These lands would have been shared in pre-settlement times by the Chiracahua Apaches, a variety of tribes now living below the U.S.-Mexican border, and the Tohono O’odham peoples. This location is listed under Tohono O’odham because of the proximity of the reservation to Fort Huachuca, the ability of the Tohono O’odham government to respond to overtures from the DoD, and the dissolution of the Chiracahua Apaches from a distinct political entity to surviving family fragments located on other reservations. The Yuma (or Quechan) people (Forde 1931) and Cocopas (Kelly 1971) live south of the Mohaves but share a good deal of cultural, economic and political history with them as well as a common language. The creation and migration traditions generally describe some sites used by both peoples. Avie Mil Li Ket, a peak otherwise known as Chimney Peak by non-Indians, is a sacred site which has an ancestral spirit who helps the people. Raven Butte, in Yuma County also, was formerly the location for raven nesting and involves part of the ancient ceremonial practices. Since the Yumas live in their aboriginal location which has been greatly reduced in historic times and has military installations within it, both burial and ritual locations are present as well as creation and migration locations. It is our understanding that efforts are presently being made by the tribe and military authorities to resolve frictions that now exist regarding sacred sites. This state (Figure 4.2) has a rich historic past involving some Indian nations. In the far-southeastern corners are areas that represent the farthest reach of the once powerful Tunica villages that spread across northern Louisiana. Along the banks of the Arkansas River are locations of a number of villages which have been loosely grouped together as part of the Caddoan confederacy (Newkumet and Meredith 1988) which was drastically reduced in size and importance during the trade wars which occurred during French and Spanish governance of the region. The Quapaws (Baird 1980) formerly lived in the northern part of the state above the Arkansas during their ascendancy at the time of French occupation. During the 1820s and 1830s Arkansas was a major path of forced removal of the Five Civilized Tribes as they were marched westward to Oklahoma. Fort Smith, on the western edge of Arkansas, was once the primary location for activities of the Federal government involving the Five Civilized Tribes. With the dissolution of the major Caddo villages on the Arkansas, knowledge of many sacred sites of pre-European and Euroamerican times were lost when survivors of the villages joined other tribes or were converted to Catholicism. The Eaker site which is a National Historic Landmark is related to the Quapaw. This site is located on Eaker Air Force Base which is in the process of being closed. The Quapaw may be interested in the lands for tribally sponsored archaeological investigations once those lands become available for non-military uses. Fort Chaffee near Fort Smith in western Arkansas is known to contain burials and archeological sites. Other sites in Arkansas are near Krenshaw, the Parkin site, and the Gold-Smith Oliver site. Generally these locations are affiliated with either the Quapaws or Caddos. Since much of the migration for the Five Civilized Tribes terminated in the Fort Smith area, the various trails across Arkansas which led to Fort Smith may contain a wide variety of burial sites, of both a traditional and converted Christian importance. It is recommended that contact be made with the governmental authorities among the Cherokees, Choctaws, Chickasaws, Creeks and Seminoles to have their tribal historians consult with military personnel regarding the possible trails and burial sites which might be found in the future on military lands in Arkansas. Identifying sacred sites in California (Kroeber 1925; Heizer 1978; see (Figure 4.3) that would accurately reflect the aboriginal religious traditions is extremely difficult. Spanish and then Mexican occupation of the coastal areas and their efforts to crush Native religious traditions have obliterated many of the specific shrines and sacred sites on the coastal plains and seacoasts. The forced tenure of many tribes at California missions virtually eliminated many native religious practices and made it impossible for survivors of the missions to preserve the body of their own traditions. Succeeding waves of American settlers, beginning with the gold rush, the agricultural and commercial development of the state, and the reduction of the surviving Indians to small reservations meant further loss of religious ritual knowledge and practice. Two different kinds of cultural overlay have occurred since the Indians of this state were practicing most of their religious rituals. The state can be divided, for purposes of discussion, into northern and southern regions. Within the north region further division of the region into coastal-river tribes and mountain tribes is necessary. In the south three divisions can be made: coastal, desert and mountain peoples. The religious traditions, as they can best be reconstructed, differ considerably. Northern peoples have more similarity to the Klamath and Modoc peoples of southern Oregon than they do to the peoples of the southern part of California. Indian tribes in the south have a greater affinity to Nevada and Arizona desert tribes than they do to the peoples of northern California. California’s Native American Heritage Commission (CNAHC) has devised several basic categories of sacred sites for use in its inventory of locations within the state (California, State of 1995). Since it has a massive listing of locations, over 170,000, their classification will be followed in the initial discussion here. The CNAHC have identified some locations as Worship/Ritual or Sacred/Power sites. Worship/Ritual locations are sites where ceremonies are performed. Out of the 57 California counties, 34 contain these kinds of sites and 226 separate Worship/Ritual areas have been identified and listed with NAHC. There are 384 sites located in 33 California counties that come under the classification of Sacred/Power sites. These locations are generally places having unique geological formations which have been revered by Native peoples since pre-contact times and figure prominently in their traditions and stories. Typically they are springs, beaches, mountain tops, desert washes, caves, and viewing places. Here sacredness is defined by the emotional experiences associated with certain locations, remembered perhaps by occasional ceremonial or thanksgiving activities, but generally a network of places that helps to define the nature of the land itself. Burial places, in the perspective of the California Native American Heritage Commission, constitute a class apart from the two basic topics listed above. There are 530 recorded burial sites in 51 California counties. These sites include areas where many burials are situated but other locations are identifiable graves that have been disturbed or places of re-internment. The California Indian Commission has recommended that the DoD contact individual tribes to ascertain information which might reveal those sites that fall within the general vicinity or within the present land holdings of military installations. Just as useful in understanding the nature of California sacred sites would be to view three other types of sacred sites: those which represent the creation or migration traditions, ancient villages with accompanying burials, and places for gathering medicines and materials for ceremonies. Planting knowledge is a major element of southern California religious traditions and gathering plants for ceremonies is one of the most important activities of traditional people there. As tribal religions continue their resurgence, the creation/migration stories will be recited more often and people will want to retrace some of the paths which represent these things. It is possible to identify areas and installations within specific California counties where the probability of burial sites being on military lands is extremely high. Riverside County, for example, home of March Air Force Base and Chocolate Mountain Gunnery Range, has 92 burial sites listed with the CNAHC. San Diego County has Miramar Naval Air Station, North Island Naval Air Station, and Camp Pendleton Marine Corps Base within its borders. The county has 154 sites presently identified as burial locations. Since the compilation of California Native American sacred sites is relatively recent and since these bases have used their lands for a considerable period of time, there is every reason to believe that many additional and as yet unrecorded sites exist within the limits of these bases. Absent a determined effort to identify new sites, DoD can anticipate that future construction on these bases may reveal more locations that would qualify for the CNAHC listing. The Cahuilla (Bean et al. 1991) groups center their creation traditions in the Palm Springs region and have identified many places as sacred to their traditions. These locations seem to be confined to a specific area not adjacent to existing military bases. On the eastern shore of the Salton Sea, however, at a location known as Dos Palmas, the Cahuilla had a sacred site for Vision Quests and the training of religious leaders. This location is probably still in use although it appears to be some distance from the Gunnery Range. Scattered communities of Chumash who lived along the California coastal areas may live in close proximity to coastal military installations but we believe their concerns would be directed primarily at the question of burials and remains of ancient villages. Since the coast was heavily populated by small villages which obtained their subsistence from the ocean and river tributaries, the chances of accidentally uncovering a location on military coastal lands that would be held as sacred, at least insofar as burials are concern, is reasonably high. Since both the Indian tribes and the state agencies are relatively aggressive about dealing with cultural/religious matters, military base commanders should have good working relationships with these people. Vandenburg Air Force base has a number of locations sacred to the Chumash which were used as Sacred/Power locations, and progress is already being made to deal with access to these locations. The Coso Hot Springs within the China Lake Naval Air Weapons Station was used extensively by a number of Indian tribes, primarily the Owens Lake Paiutes and the Shoshones. It is already the subject of a Legacy Project and is discussed more extensively in Chapters Six and Eight. The Ute people (Conetah 1982; Jefferson, Delaney, and Thompson 1972; Smith 1974) controlled extensive areas of this state (Figure 4.4), primarily the western slope and the southern mountains as far as the Plains, in prehistoric and historical times until Euroamerican settlement. Numerous other tribes used parts of the eastern slope of the Rockies for a variety of purposes but in general did not occupy permanent areas. Thus the people of Taos, Pecos, and other northern Pueblos (Dozier 1970), the Kiowa (Mayhall 1962; Momaday 1969), Comanche (Wallace and Hoebel 1952; Foster 1991), Jicarilla Apache (Tiller 1983), Cheyenne (Grinnell 1972), Arapaho (southern and northern; Painter 1893; Kroeber 1902-1907; Trenholm 1970; Fowler 1982), Sioux (Mooney 1896; Marquis 1993), Osage (Matthews 1961), Pawnee (Weltfish 1977), Wichita and related tribes (Newcomb 1976), eastern Shoshone (Trenholm and Carley 1964), and perhaps even Blackfeet (Ewers 1956) and Crow (Lowie 1956) peoples had some contact with different locations in Colorado. Navajo peoples most certainly had extensive hunting and living areas in the southwestern part of the state although nothing was found to indicate sacred sites of the Navajos (Kluckhohn and Leighton 1946) in Colorado. Military installations that would have any significant Native American sacred sites significantly are probably rare in Colorado, since there are only the Air Force Academy, Fort Carson, and some scattered installations such as the Rocky Mountain Arsenal near Denver and the Pueblo Army Depot. A report has already been done on the Colorado Springs area and the tribes which might have an interest in sacred site locations in that general area. Other than burials which might be discovered, we can find no particular locations that would be affected by any military activities that would also involve contemporary religious practices by traditional Indian people. Arkansas Mountain in Boulder County is a site currently in use by various tribal members for vision quests and sweat ceremonies. It is most likely an ancient Arapaho site. At the present time there is some controversy involving the Garden of the Gods city park in Colorado Springs and a group of Indians who want the area designated as a sacred location (Goss 1994). The Indian group does not seem to represent any particular tribe but is understood more as a gathering of people from various tribes. Pike’s Peak is regarded by the Sioux Indians as the center of the world but holding ceremonies there would be highly unusual. Native religion (Fournander 1918-1919) in Hawaii (Figure 4.5) is immensely sophisticated, has many levels of understanding and ritual, and deals with spectacular forces of nature such as the ocean and its currents, the winds, and most of all volcanic forces of the planet. Aspects of this religious tradition could be called a “fire theology” and are compatible with some of the oldest religions on earth in terms of creation and revelation stories. With the coming of Europeans, and especially with the advent of the missionaries who fought hard against the indigenous religion, much of the native ritual activities were abandoned. As non-Natives came to represent the majority of the islands’ population, traditional native religion was restricted to certain areas and groups. With the development of some of the islands as military bases and the expansion of military lands during the Second World War (Figure R.2), many native sacred sites were lost or supplanted with new construction. Hui Malama I Na Kupuna ‘O Hawai’l Nei (Association for the Preservation of Indigenous Hawaiian Culture; Hui Malama for short), a local native organization active in repatriation efforts, has made major strides in securing ancestral remains from all over the world for reburial in Hawaiian soil. A major issue for this group is the use of ancestral remains for scientific investigations. In June 1994 Hui Malama filed a lawsuit over unauthorized use of skeletal remains for scientific use involving the Navy and the Bishop Museum. Since all soil is believed to be sanctified because ancestral burials are all over the islands, considerable work must be done with native Hawaiian people to devise ways of using land that do not interfere with these deeply held beliefs. Reburial of skeletal remains discovered during construction or renovation without subjecting the remains to scientific tests may well irritate secular scientists, however most parties agree that doing so without seeking permission from Native Hawaiian authorities is a violation of the NAGPRA protections. This problem of disturbing the land underlies all other issues regarding sacred sites in the Hawaiian Islands. A good many of the Native Hawaiian sacred places have long since been destroyed by commercial development and the spread of suburban housing. Nevertheless some sacred sites do remain, some are the subject of intense debate (Edelstein and Kleese 1995) and others are still kept as closely guarded information. The largest specific site considered sacred by Native Hawaiians is the island of Kaho’olawe which has a Naval Bombing range on it and has been the subject of some controversy already. Numerous shrines and localities exist on these islands and relate to almost every kind of religious ceremonial in the traditional religion (Langlas 1994), as we might expect when we discuss a location of this size. Kaneohe Bay, on the northeastern side of Oahu, has a similar complexity in terms of sacred locations. Continuing negotiations with traditional Hawaiian groups should enable some precise identification of specific locations and the adoption of provisions to protect them. The Kahuku Training Area has prehistoric religious sites which are revered by traditional Hawaiians. Clustered on Oahu are sacred sites where Kamehameha lived involving both Fort DeRussy and Fort Kamehameha. The Scofield Army Barracks in the center of Oahu has a Native Hawaiian religious site on the edge of its property. The Pacific Missile Range Facility on Oahu is adjacent to the Barking Sands site and Kaneana Cave, both of which have importance to the traditional religion. Considering the complications involved it might be better as a practical matter to have a state-wide meeting between traditional practitioners and DoD representatives and begin to process of identification, discussion, and the creation of access or protective agreements. Handling this situation piecemeal through studies of individual military installations seems tedious and inefficient. Idaho has two distinct geographical areas (Figure 4.6), the high desert which is part of the Great Basin and the mountain region which is part of the Rocky Mountain chain; see Walker (1978, 1980). The Shoshone, Bannock, Sheepeaters, Paiute and associated Gosiute occupied the high desert areas with some possible intrusions by the Utes from the northern Utah area. The Nez Perce, Walla Walla, Coeur d’Alene, Spokane, Kootenai, Salish, Blackfeet, Columbia River, Cayuse and other traditionally located Pacific Northwest tribes all used the northern mountainous areas of the state. There is tremendous overlapping of tribal occupancy areas here with many tribes using the same areas for hunting, gathering of herbs, foods, and medicines, and religious activities. Both in early contact times and during this century many of these tribes confederated with each other to form a stronger group of people who could deal with large tribes and then with the United States. Scholars debate whether the Shoshones and Bannocks of this region were ever independent or whether they confederated. At the present time the state has a reservation at Fort Hall occupied by Shoshones and Bannocks, a reservation at Duck Valley occupied by Shoshones and Paiutes, a Coeur d’Alene reservation at Plummer, a Nez Perce reservation at Lapwai, and a Kootenai reservation at Bonners Ferry (Walker 1980-1983). The Northwestern Band of the Shoshoni Nation, recently declared a Federal tribe through the acknowledgment process, is basically without a reservation land base but is composed of families whose ancestors survived the Bear River Massacre near Preston, Idaho during the Civil War. Their tribal office is in Blackfoot, Idaho. Oral traditions may go back as far as the Pleistocene Ice Ages for these tribes, particularly in the north, and some Shoshone traditions recount volcanic explosions and unusual geological events in the southern part of the state (Steward 1943). Idaho, and we shall see this characteristic in Oregon and Washington also, has such a large number of unique geological formations, capped by rugged mountain ranges and much ancient volcanic activity, that formulating a complete analysis of sacred locations in that state would be a major task for a team of scholars and linguists. This report will concentrate on the desert areas of southern Idaho, particularly in Owyhee, Ada and Twin Falls Counties, and in some instances on locations further east along the Snake River. Three major kinds of sacred sites are to be found in this lowland area: gathering places for herbs and medicines, vision quest locations and meeting places, and medicinal springs in the various lava beds. Streams and rivers in the lowland areas of Idaho occasionally run underground and there are numerous instances of exceedingly hot springs found within the region and formerly used by Indians for healing ceremonies. Several of the most notable springs have long since been appropriated by non-Indians and made into commercial ventures, most notably the Lava Hot Springs and the hot springs near Challis. Some of the remaining locations where native ceremonies can still be practiced will be a concern. The Kootenai, Coeur d’Alene, and Nez Perce lands are in the northern mountainous areas of Idaho and some of their sacred sites are located in eastern Washington and will be discussed with the other locations in that state. The Idaho discussion will concentrate on the Shoshones, Bannocks, Paiutes, and Ute peoples. These people seem to have been independent at one time, prior to contact with Europeans and consequently some of their traditions may speak of religious experiences during this period of time. Walker (1993b) argues that at least since the early Eighteenth century the Shoshone and Bannock have been closely aligned and consequently attempting to identify separate origins for much of the cultural/religious traditions is not possible or feasible. These people should today be called Shoshone-Bannock because they have formally organized politically under the Indian Reorganization Act as a consolidated tribe even though there is documentary evidence that on occasion the Bannocks were treated separately. Closely related to the Shoshone-Bannock, and virtually indistinguishable today for our purposes, are the Sheepeaters who once lived on the Lemhi Reservation but were removed to Fort Hall at the beginning of the century following the death of their chief. Generally the Bannock portion of the Shoshone-Bannock concentrated themselves in the northeastern areas of Idaho. With the coming of settlers on the Oregon trail the Bannocks were attracted to the lower regions of the state and frequently attacked wagon trains leaving Fort Hall for the Willamette settlements. Many of the Bannock sacred sites are found in the upper drainage area of the Snake River somewhat removed from the areas which have military lands but which are overflown by the military from time to time. Creation and migration stories do not seem to nut the tribe in the desert areas. These people (Knack and Stewart 1984) ranged extensively from the middle California deserts into Oregon, throughout the Great Basin into the Grand Canyon northern regions, and into southern Idaho. They were generally divided into small bands located in small regions because of the difficulty in feeding a large number of people. Since the Paiute form a large linguistic group with dialect variations, they do not have homogenous accounts of creation and migration. Rather, Paiute sacred sites are defined by stories of local importance to a particular group and well-defined sets of relationships between mountains and springs. Today the bands of Paiutes who once lived in the Idaho area reside on the Duck Valley Reservation which straddles the Idaho-Nevada border. Since they have lived with the Shoshone there for over a century, we will discuss their sacred sites in conjunction with those of the Shoshone. For the purposes of this report the Shoshone (Trenholm and Carley 1964) will be separated into two groups: desert people and mountain people. Culturally some scholars such as Walker (1993b) divide the Shoshone into eastern and western branches and the political history of these people suggests such a classification. Here “desert and mountain” characterizations will be used primarily because we are also dealing with the geography of the region and the kinds of sacred places to be anticipated. Like the Paiute, the Shoshone ranged over a very large territory, in fact approximately the same territory that now includes western California, Oregon, Nevada, Utah and Idaho. The eastern branch of the Shoshone Nation were primarily mountain people and occupied lands far into Wyoming and Colorado. The largest Shoshone reservation, in fact, is the Wind River reservation in Wyoming. Today desert Shoshone live at Duck Valley and mountain Shoshones at Fort Hall. The Shoshone were once part of a much larger group that included the Comanches before that segment of the nation migrated south along the front range of the Rockies. Consequently in terms of creation and migration traditions, Idaho may have some locations that relate to the Comanche. The more immediate concern in this report is the southwestern portion of Idaho where there are Air Force activities and lands and where there is still considerable ceremonial life represented by the traditional people of Duck Valley. Fishing Falls, between Jerome and Falls was a traditional fishing site for these people and consequently mountains and springs in the vicinity have the potential of being sacred locations where first salmon ceremonies and healing rituals were performed. Indian Meadows in Owyhee County was a summer meeting location for many of the Shoshone bands and probably a site where important rituals were conducted on behalf of several groups of Shoshone. The major problem in southwestern Idaho is the close fly-overs within the Owyhee/Paradise Military Operations Area. Some areas in southern Idaho are described as “high intensity operating areas” and the nature of the military use produces massive sonic booms which disturb ceremonial activity and may inhibit growth or plant and animal life in the region. Some Indian reports suggest that planes fly as close as 100 feet from the ground and substantially disrupt even secular activities in the region. In Owyhee County there is a geologic formation known as the Jarbidge Canyon and River and the location has the connotation of something mysterious and evil. Frequently medicine men of a tribe would suggest the presence of evil to inhibit tribal members from entering certain kinds of locations. Squaw Meadows, also in Owyhee County, is the site of a massacre of an Indian camp and memorial services are conducted here on a fairly regular basis for the deceased killed and buried there. The Mountain Home Air Force Base administers an area known as the Saylor Creek Range on which missiles are dropped or fired. There are undoubtedly native burials within this range although current archaeological surveys have not yet discovered any. Since there is an annual cleanup of the area, there is a good possibility that burials will be discovered in the future. The Mountain Home Air Force base proposed bombing range affects the Shoshone and Paiute people of Duck Valley. Further east the DoD Idaho National Engineering Laboratory, which has the participation of Navy in some projects, affects the Shoshone and Bannock people of Fort Hall. Idaho would be an excellent place to develop long-term working agreements with the Indian tribes on the sacred sites protection subject. Owhyee County has a number of pictographs, one prominent site at a location called Indian Bathtub which also has a spring that was used for healing purposes. 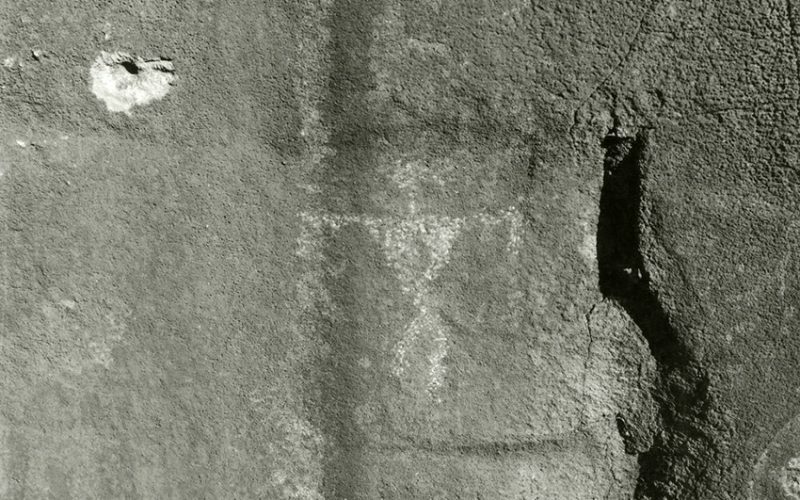 In Idaho County on Indian Creek are another set of pictographs which may relate to the Owhyee site. If the connection holds, and there is every reason to believe these sites are linked together ceremonially, migration and creation traditions are involved. Nat-Soo-Pah warm springs in Twin Falls County was a primary healing spring and this location may be linked in the oral tradition to the other two sites. Within the Shoshone-Bannock religious traditions, vision questing is done at sites having pictographs and most of the locations which have these markings are also used on occasion by the traditional native people from both Fort Hall and Duck Valley. Table Rock in Ada County is an important native location. Its Shoshone name means the place to build fires at certain times suggesting annual ceremonies comparable to the Sun Dance or Bear Dance of other tribes. Defining the site more precisely would require comparing the summer rituals of the desert and mountain Shoshone and determining from which geographical area participants in the ceremony were drawn. This site could quickly become controversial because there are indications that the location has great significance for the Shoshone. It would be an excellent choice to develop a working agreement between Shoshone tribal governments, the state agencies, and the DoD. Julian Steward (1943) reports a memory of the great ice sheets that may indicate Shoshone presence in the Great Basin desert during one of the Pleistocene glacial advances on the Snake River, suggesting Shoshone activity in the Idaho are can be measured in tens of thousands of years. The Shoshone claims may one day be as well understood as contemporary Hopi claims to antiquity. Fortunately efforts are already under way to establish working agreements between the Air Force and the traditional Shoshone-Paiute people at the Duck Valley Reservation which spans the Nevada-Idaho border (see letter from Mountain Home Air Force Base, Appendix J). The definition of the network of sacred sites which will require protection or require access for ceremonial purposes will depend in large measure on which ceremonies and rituals have become dominant in Shoshone religious life. Some locations will certainly have become secularized over a long period of time. Nevertheless many religious practices have been kept alive by these people and there is every reason to anticipate considerable activity to preserve sacred locations. In the very southeastern tip of Idaho are some locations of significance to the Ute people who live further east and south in Utah and Colorado. These locations involve the Bear who has a special significance to the Utes (Conetah 1982; Jefferson, Delaney, and Thompson 1972; Smith 1974). The Bear is a healer prophetic figure and much of Ute religious activity is focused on this animal. Bears were once prominent in this area of Utah and healing springs were probably ceremonial sites which had Bear rituals. The bear provides knowledge of herbs and roots for medicinal purposes and some gathering sites are scattered in this area also. A number of healing springs are found along the border, and others are found up to the area around Soda Springs. The area east of Pocatello probably has a few medicinal locations that are used on rare occasions by the Ute traditional people. Apart from the Bear Dance which is one of the central public religious ceremonies, Ute religious practices are highly secretive and their meaning closely held by spiritual leaders. Sacred sites in the aforementioned areas of Utah will not be revealed to outsiders unless a severe crisis provokes such a need. Although Iowa (Figure 4.7) was a prairie with sparse woodlands prior to its settlement by Euroamericans, at various times in its history the Sac and Fox (Hagan 1958), Otoe and Missouri (Chapman 1974; Edmunds 1976; Whitman 1937), Iowa (Blaire 1979), Omaha (Fletcher and LaFlesche 1911), and Sioux all occupied various locations within what is now Iowa. With the exception of a small settlement of Mesquakies (McTaggart 1984) at Tama, who at the end of the last century purchased their lands and made arrangements with the state to live there, the Indian nations who once lived in Iowa no longer do so. Ancient Sioux traditions relate to the Spirit Lake area and it is still spoken of with reverence although the bands which inhabited it have long since been dispersed in the wars of the 1860s. Locations along the Mississippi River, particularly in the Davenport and Dubuque areas, are sacred to the Fox Nation but were abandoned by the tribe as early as the 1780s when the location which now encompasses Dubuque was purchased by Julian Dubuque from the Fox. Much work has been done by the state in locating and classifying Indian culture and religious sites. The State Archaeologist reports that there are 16,194 sites in the state with 1,848 having some possible religious significance. Of these, the vast majority (1,143) of the locations involve mounds and another 400 are locations of old villages which are presumed to have burial areas attached to them. None of these locations is near or on DoD lands. The Indians (Herring 1990) of this state (Figure 4.8) and Oklahoma present the situation in which an aboriginal Indian population spread across the state experienced intrusions of Indian nations from east of the Mississippi due to the removal policy of the Federal government. With the onset of the Civil War the tribes settled in the eastern part of these states were drawn into a very painful conflict and with the final Indian wars of the Plains the original tribes found themselves mixed together with tribes who were still fighting to remain free. Consequently there is in Kansas a strange mixture of native sacred sites which have ancient significance as well as sites with a more contemporary relevance. In the Yates area there is currently a petition to set aside an area which is said to possess the characteristics of sacred property for the Creek or Muskogee Nation. Many Creek are buried at this site including Chief Opotheyoholo. These graves represent remnants of a small group of Creek which sought to escape the ravages of the Civil War in the Indian Territory. Oklahoma Creek make annual trips here to visit certain specific sacred locations and to commemorate the deceased who are buried here. Similar historic burial locations exist in and around Wichita. This may include some sites important to the Cherokee. When the Kiowa (Mayhall 1962; McAllister 1970; Mooney 1898; Ney 1962; Spier 1921) lived in western Kansas they used a number of locations along the Medicine Bow River as Sun Dance sites. Some research has been done to identify these locations but it is now held in confidence. Prominent hills and buttes in western Kansas must also have this connotation, although nothing currently in print has been admitted by the Kiowa as being valid and no requests for protection have been made. There are 31 known petroglyph sites in Kansas in 15 counties. Many of these locations have suffered vandalism and the addition of graffiti. The Smoky Hill Air National Guard Base may be one location where more petroglyphs exist and are not yet recorded (KANG 1994). There is also a site known as the “Penokee Man” in north central Kansas, several intaglio figures carved into the earth in various locations, and ceremonial or council circles, perhaps some actually serving as medicine wheels scattered in various locations around the state. There are archaeological sites at both Fort Riley and Fort Leavenworth, the Quarry Creek site in the later, and there are already two Legacy projects funded in FY92: #428 and #228 being conducted at Fort Riley. Since few of the original or migrating tribes continue to live in Kansas, except for some small reservations of Potawatomi, Sac and Fox, Kickapoo, and Iowa tribes, much of the contact these two military installations have concerning Native sacred sites will be with tribes now living in other states. The contacts will involve primarily burial sites and the ceremonies will probably be condolence or commemorative. Kansas has numerous sites important to the Pawnee (Weltfish 1977). Pawnee Rock on the old Santa Fe trail was regarded as sacred and was probably a vision quest site. Waconda Springs in Mitchell County was an important healing mineral springs for these people. Pawnee Village in the northeastern corner of the state has an annual memorial service commemorating Pawnees who were buried there when the tribe briefly lived there. Rock City near Minneapolis, west of Fort Riley, is believed to be a site where the Pawnee animal lodges were located and would be the site of ceremonies and rituals. Louisiana (Figure 4.9 is a complex situation (Paredes 1992; Williams 1979) in that there are both Federally recognized tribes and non-recognized Indian communities. The state also has small Native American communities, particularly in the Red River area near the Texas border in which the population is predominantly of mixed blood with a predominance of Choctaw. Inhabitants of these towns vehemently deny an Indian heritage, are very secretive about communal affairs, but are said by people in the recognized Indian communities to practice some Indian religious rituals. None of these areas or towns is near any existing military installation but the potential exists that the DoD installations may be visited by delegations from these places. Louisiana tribal groups (Coushatta: Jacobson, Martin and Marsh 1974; Tunica-Biloxi: Faine 1986; Chitimacha: Hoover 1975) generally lived in fishing/hunting villages in the bayous and swamp clearings, most usually at landing places and river bends. Burials and places to locate medicinal herbs and roots, along with possible emergence sites, would be the major religious locations for these Native American groups. During both Spanish and French occupations the colonial officials allowed public sales of lands by small Indian tribes to local merchants and land speculators. The Indian villages would then generally move and amalgamate with villages that had not sold their lands. The American State Papers (U.S. Congress 1832-1861) has many case studies of these sales and migrations in conjunction with title questions resolved by the Congress or the General Land Office after the United States assumed control of the area following the Louisiana Purchase. The development of large sugar cane plantations in Louisiana during antebellum days cleared much land that would have contained Native American sacred sites. Two military installations, Fort Polk and Barksdale Air Force Base, have the possible sites important to the Louisiana tribes and also to the Caddo, Aqupaw, Creek, Choctaw and Houma who once had an interest in the area. Fort Polk already has a Legacy project (#71) funded in FY91. Barksdale is presently conducting a survey of the cultural resources present within its borders. The distinguishing characteristic of these states (Figure 4.10) is the dominance of the Sioux Nation (Marquis 1993; Mooney 1896) which at one time virtually controlled this northern Plains region. Sharing Minnesota with the Chippewa (Tanner 1976; Cleland 1992), North Dakota with the Mandan (Meyer 1977), Gros Ventres (Flannery 1953; Fowler 1987), Arikara (Meyer 1977), and Chippewa, and Nebraska with the Pawnees (Weltfish 1977), the Sioux nevertheless defined the landscape and imprinted their religious tradition in indelible fashion. The Sioux also occupied large areas of Wyoming and Montana but we will reserve discussion of sacred sites in those locations until later. Sioux sacred locations are dominated by Bear Butte on the northeastern corner of the Black Hills adjacent to Sturgis, South Dakota, and the chain of medicine buttes which line the Missouri River breaks throughout the length of the Dakotas. Bear Butte is the scene of intense dispute over access and privacy of traditional ceremonies, primarily the Vision Quest of the Sioux and the annual renewal ceremonies of the Northern Cheyenne. Since the state of South Dakota holds title to the site, the conflict is primarily with state government and does not generally involve the military. There may, nevertheless, be some areas of dispute today between the Sioux and other tribes and the military over the location of missile sites in the western parts of South Dakota and North Dakota. Some missile silos appear to be within close proximity of sacred buttes in western South Dakota. Locations in western Nebraska are oriented around the winter camps and the annual spring migrations of the buffalo and serve as locations for condolence, healing, and prophetic rituals but generally not as sites for the performance of the Sun Dance. In other parts of this region the proximity of Sioux sacred sites to military lands is remote. Pipestone Quarry, for example, is far from any location with military activity; the falls and cave at St. Paul have long since been surrounded by urban sprawl. The Mandan, Hidatsa, and Arikara in North Dakota (Meyer 1977) once lived farther south along the Missouri River from the Big bend to Bismarck. Many of their sacred sites are now in lands occupied by the Sioux along the river and remote from military lands. De-activation of air bases seems to have taken place without incident. The Pawnee (Dunbar 1911; Hyde 1934a, 1934b, 1951; Murray 1835; Oehler and Smith 1851) were removed from Nebraska during the last two decades of the nineteenth century. Their large river villages had been in decline for several generations and their population was decreasing from the end of the Civil War until the removal. These people seem to have successfully transferred their religious ceremonial life to Oklahoma without losing its substance and their various religious societies remain strong in their Oklahoma communities, Chippewa religious practices involve a complicated priesthood which deals with birth and rebirth processes of initiation and therefore is not nearly as dependent on specific locations as is the Sioux. Additionally, the Chippewa were historically north of Lake Superior and were drawn down into Minnesota by the fur trade during historic times. While some rituals, primarily puberty and condolence activities do depend upon isolation in remote areas, the priestly nature of Chippewa religion means that apprenticeship is more dominant than sacred site location. 7 This chapter is based on Dr. Deloria’s wide experience supplemented by a review of the ethnographic literature to exhibit major patterns of Native American sacred geography. The organization by state follows Swanton (1969).